Let's Just Build a House! : A Dr. Seuss Baby Shower for TWINS! 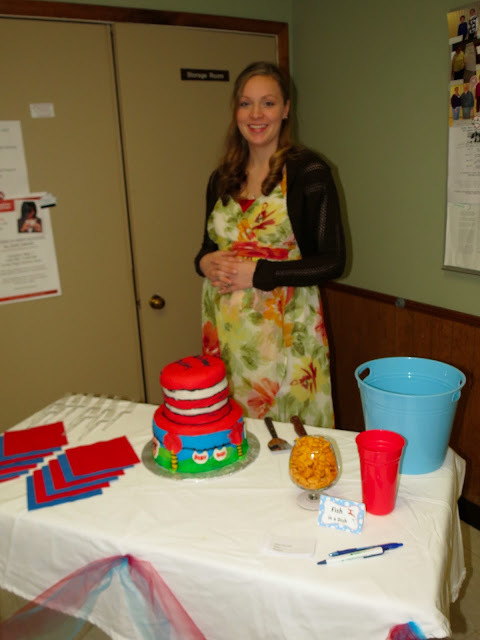 A Dr. Seuss Baby Shower for TWINS! 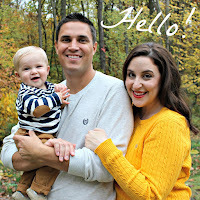 My sister-in-law and her husband are expecting. Not just one baby...oh no... TWO babies. This past Sunday I co-hosted a baby shower with my Mother-in-Law in their honor. 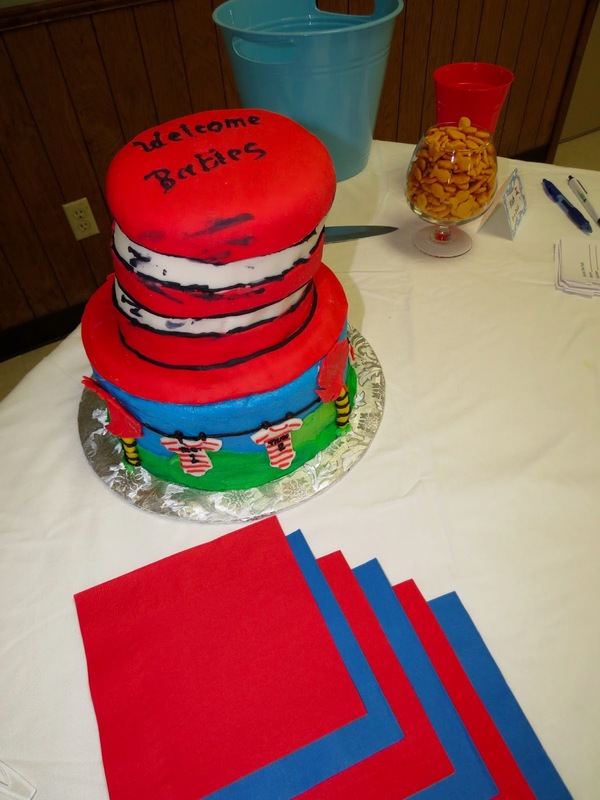 She requested Dr. Seuss, specifically "Thing 1 & Thing 2" as the baby shower theme. So we took it and ran. 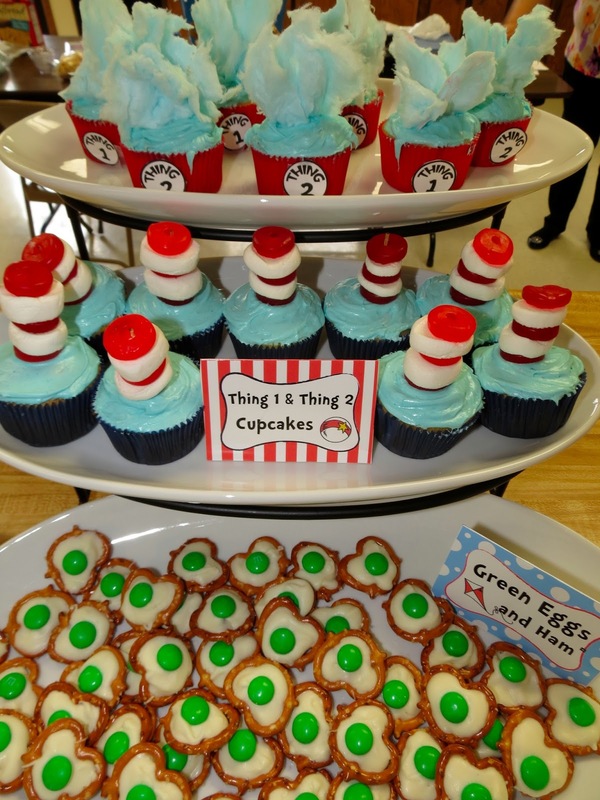 Thing 1 Thing 2 cupcakes! The top tier actually has cotton candy on it to match the hair of Thing1&2. We cut out the little "Thing 1" & "Thing 2" and just stuck them on the cake wrappers with tape. 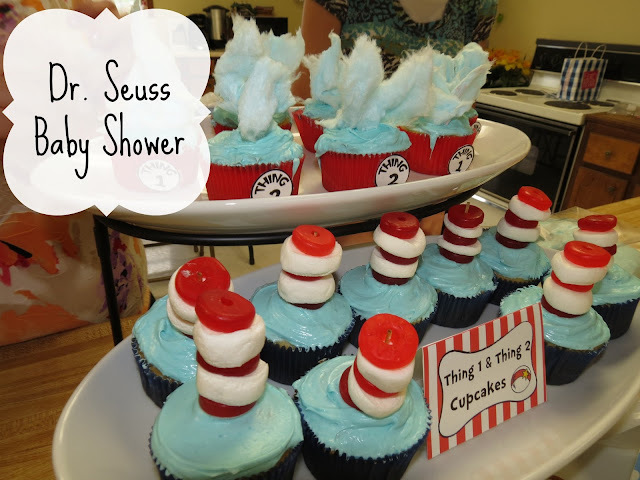 The others have the jelly lifesavers and marshmallows stacked to create a Cat in the Hat hat! Both sets of cupcakes are made with cotton candy flavored frosting. The paper straws were from amazon. 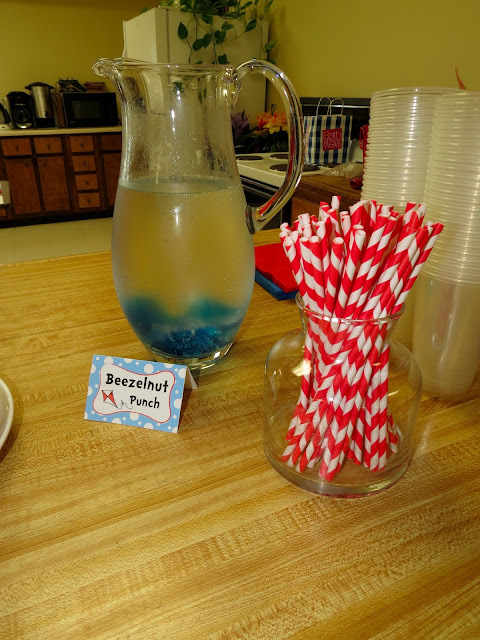 Secret: it's just sprite with jello jigglers dropped in! My mother-in-law made these two sets of onesies for the kiddos. We strung them up with a boa from the dollar tree. Red and blue was easy to find especially so close to Memorial day. We also had candy green eggs and ham. These were just made with pretzels, almond bark, and a green m&m. Easy. Fresh strawberries, marshmallows, and blueberries sprinkled on top for color. And of course, the cake! We ordered it from a local cake lady, and it turned out adorable. We had so much fun throwing this for her and the babies, now we can't wait to meet them in a few months! 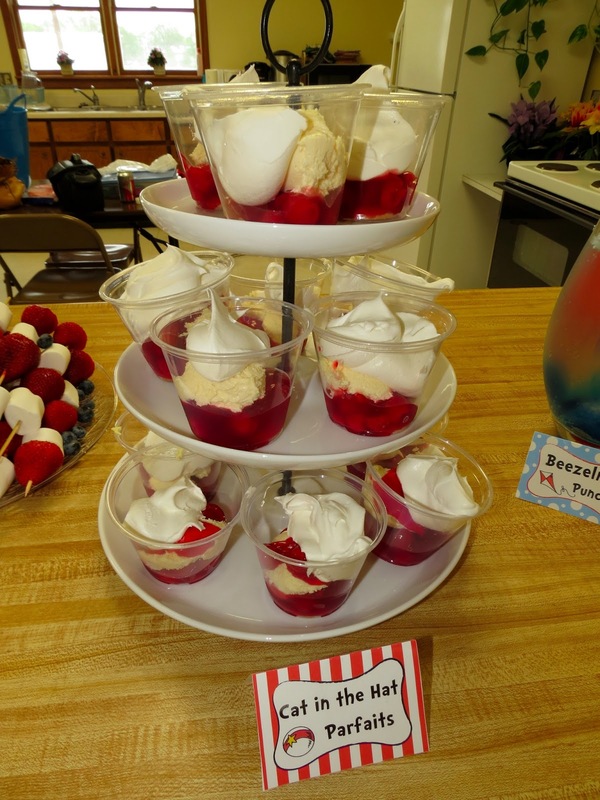 Have you ever hosted a themed baby shower? Are you sad this entire post didn't rhyme? I love the theme she chose and the way you guys executed it. Very adorable! Ummm, this is all super adorable. Now I want pretzel green eggs and ham. That is the coolest baby shower! I have declared that I will not be having a baby shower (I was apparently traumatized by bridal showers), but if it looked like this I might change my mind, haha. It all is so cute! Adorable. I have to pin this when I get home. It would be cute for a kiddie birthday party too. Looks like you guys had a great time!! Aww what a cute shower! You did an amazing job! Is sad I really want one of those cupcakes now? Such an easy but AWESOME idea with the cotton candy!